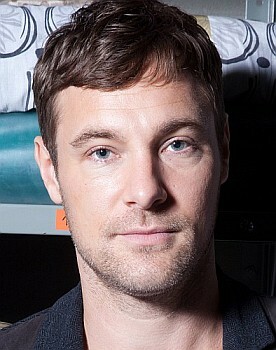 Rob Donovan arrived on the Street in the summer of 2012 as the younger brother of Carla Connor. He was newly out of prison, having served eight years for his involvement in an armed robbery. He attempted to make contact with Carla but their past history has been contentious and it's been a bumpy road. He also clashed immediately with Carla's boyfriend, Peter Barlow and there's been no love lost between them. Currently, Rob is involved with Tracy Barlow, a match made in hell, some might say. They are running a Buy and Sell business out of the old bookies' shop, a business that Rob helped go bankrupt. He is also running interference between Tracy and Tina McIntyre who are at loggerheads. Since joining Coronation Street, Marc has been nominated for numerous Best Newcomer awards. Marc has said his grandmother wished he would one day jin the cast of Coronatin Street and within a year after he promised he'd try for it, he won the part of Rob Donovan. Mr. Baylis' TV credits include: Sirens; The Bill; Eastenders; Doctors; Hollyoaks; When Evil Calls; Misfits and Law and Order: UK. Film credits include: Strippers vs. Werewolves; London River; Changing Faces and Wounded. He has also appeared in many tv commercials including Carling, Kia cars, Mercedes and Patron Tequila.